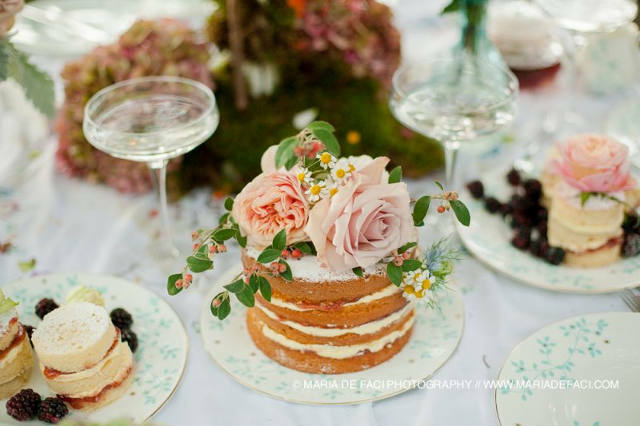 Weddings are beautiful things and so are the cakes that celebrate them. No wedding is complete without one. Special days deserve very special cakes. 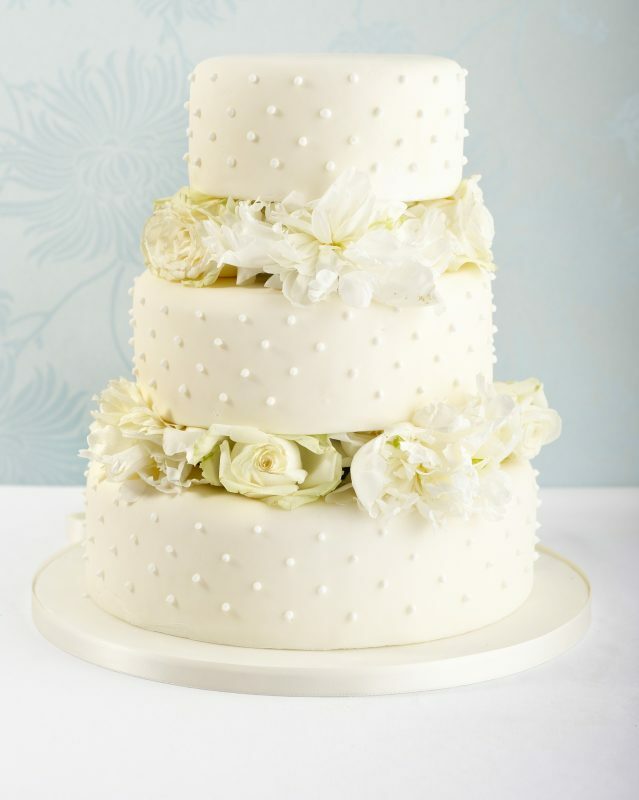 At Cakes by Robin we love designing and making beautiful wedding cakes, so we’ve made it our business to know everything there is to know about the wedding cake tradition. Here are some of the weird and wonderful facts about wedding cakes we’ve found that you probably didn’t know. Pure white icing was first used on Queen Victoria’s wedding cake. It’s true! And it’s the reason wedding cake icing is called ‘royal icing.’ White icing originally symbolised virginal attributes, but also represented status. During Victorian times wedding cake ingredients were scarce, including expensive refined sugar. The whiter the cake the richer the family! 2 – Wedding cakes used to be pies! Until the early 19th century savoury pies and not cakes were served up at most weddings. The earliest recorded British recipe for a wedding cake was around 1665 and was in fact a recipe for a pie. Savoury wedding cakes are making a comeback. Pork pie stacks and cheese stacks are the cake of choice for those couples who don’t have a sweet tooth! Eyes bigger than belly are certainly the case for the world’s biggest wedding cake. The world’s largest wedding cake as recorded by Guinness World Records was made by chefs at the Mohegan Sun Hotel and Casino in Connecticut, USA in 2004. The cake was a towering 17 feet tall and weighed an astonishing 15,032 lbs. That’s a lot of cake! In days gone by each tier had its own significance. The bottom tier was eaten at the wedding reception, the middle tier distributed to take home, and the top tier saved until the couple’s first child’s christening. And that is also why wedding cakes have traditionally been made as dense fruit cakes, because they have a significantly long shelf life. Psst. We bet you didn’t know this. 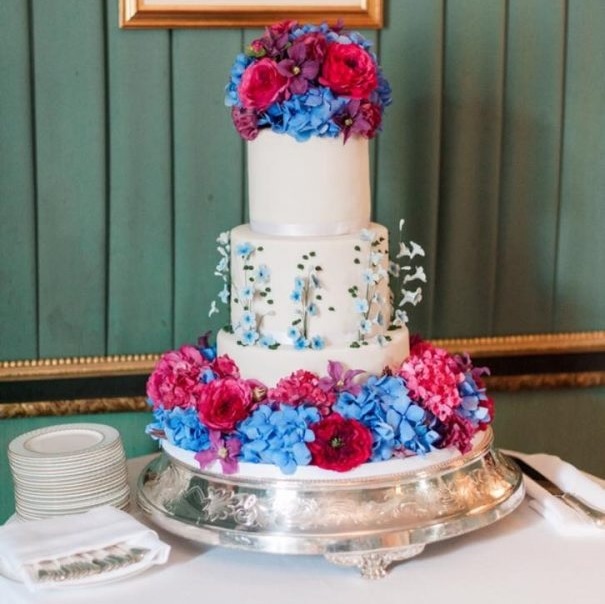 The royal couple, Prince William and the Duchess of Cambridge, née Kate Middleton, saved the top three tiers of their eight-tier wedding cake. One was served up at Prince George’s christening celebrations and another at the christening of Princess Charlotte. As for the third layer, is that a clue of the Royal couple’s future family plans? It’s just speculation of course! Weddings have become much more relaxed affairs in recent years and many couples no longer opt for a traditional cake. 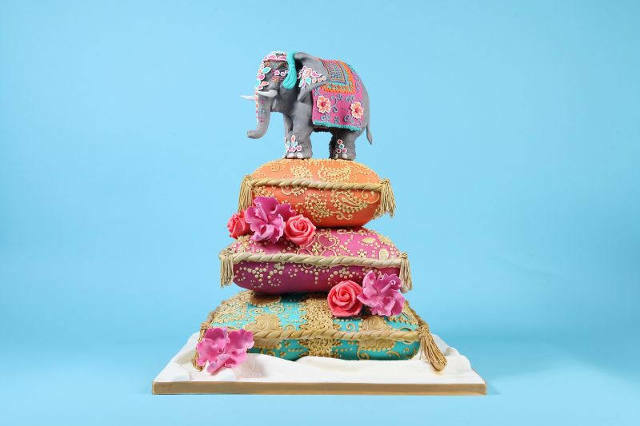 Wedding cakes are bringing light hearted slices of fun to the big day, from vintage-style naked cakes exuding understated elegance to wildly imaginative novelty cakes. 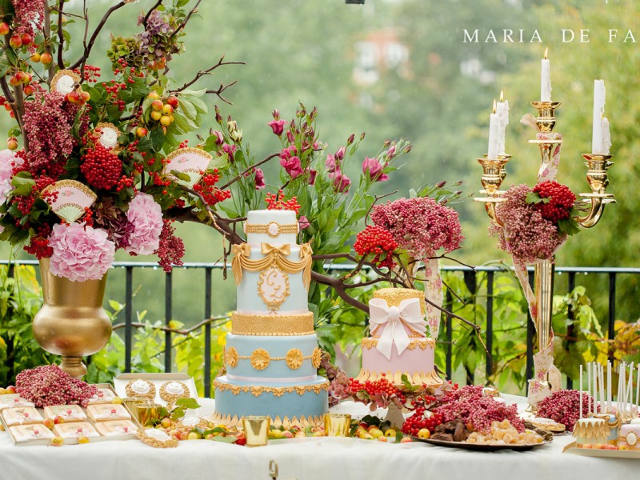 Modern wedding cakes are no longer limited by societal rules. Having said that, traditional wedding cakes are still a favourite choice for some and are the ultimate finishing touch for any traditional wedding day. At Cakes by Robin we love to make wedding cakes and wedding treats to wow. We design all sorts of cakes and love nothing more than a challenge to bring your creative dreams to life in cake form. As far as we are concerned, anything is possible. Our themed wedding dessert tables are as much a stunning visual treat as they are a tasty one. We think your wedding cake should be every bit as unforgettable as the wedding day itself.